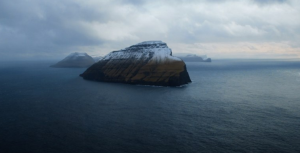 A breathtaking documentary that poses many questions, The Islands and the Whales is a gorgeously shot film that explores the relationship between the people of the Faroe Islands and the nature that surrounds them. You see, the citizens of the Faroe Islands are hunter gatherers in the truest sense. Punished by their location (between Norway and Iceland), these people have chosen to hunt the animals around them including puffins, guillemots and controversially, pilot whales. With the seas being increasingly polluted, the citizens of Faroe Islands are faced with a stark reality – their diet of marine animals may no longer be healthy for them due to toxins in the animals. There are some some astounding footage in this documentary and some may not be for the squeamish, but the film will also make you want to visit the island’s rugged landscape.